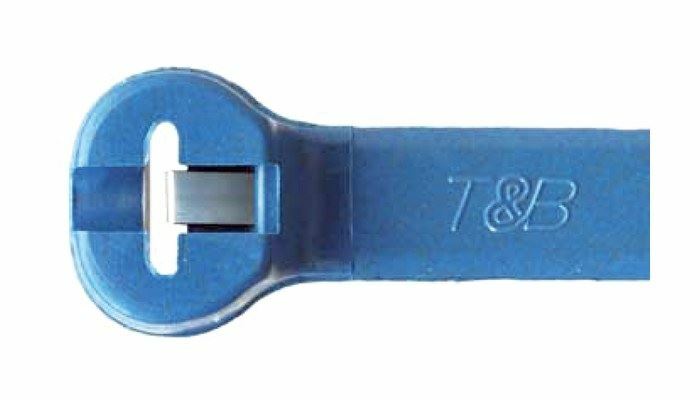 Original TY-RAP cable ties. These Cable ties have a metal tongue in the head to avoid slippage over time. These are perfect for industrial installations where you install and leave the cable bundle for long periods of time. These cable ties also are metal detectable, perfect for food processing applications where you want to avoid broken pieces of cable tie landing in consumer goods. They are also coloured blue for easy identification from regular cable ties.